ASHEVILLE — Democratic congressional candidate Terry Bellamy will give to charity $350 she got from a local pastor facing five years in prison for his part in a bank fraud scheme involving real estate investors. Nicholas Dimitris, who leads C3 Church on Merrimon Avenue, pleaded guilty in December to conspiracy for serving as a straw borrower to get $825,000 from Pisgah Community Bank, according to federal court papers. Dimitris made the political donation in February, according to Federal Election Commission records. Fundraising reports were due Sunday. Dimitris’ donation is a small part of Bellamy’s total.She is winning the money race among Democrats in the 10th District primary with $121,356 raised in the first quarter. Most of the money came from individuals. She had $52,433 on hand at the end of the quarter. She got $2,400 from four political groups, including outgoing Democratic 11th District U.S. Rep Heath Shuler’s 3rd and Long PAC. Bellamy, also Asheville’s mayor, said she did not know Dimitris personally but does know his wife and once spoke at his church in her official capacity as the city’s top leader. She said she made the decision to give the money to Western Carolinians for Criminal Justice on Patton Avenue after being asked about Dimitris’ donation by the Citizen-Times this week. “We felt that would be a better place for his funding,” she said. Four people have already pleaded guilty to being involved in schemes to make or receive millions of dollars in straw loans in the Asheville area following a federal investigation. They are former Bank of Asheville President Gordon “Buddy” Greenwood, former Pisgah Community Bank officials Robert Craig Gourlay and David G. Smith, and Dimitris. High-profile real estate investors Avery Ted “Buck” Cashion III and his wife Joan Lusk Cashion, Raymond M. “Ray” Chapman and Seven Falls developer Keith Arthur Vinson have been charged in the scheme. Dimitris graduated from high school in New York in 1994 and studied theology at Beacon University in Georgia, according to court papers. He could not be reached for comment. His C3 Church is a charismatic congregation affiliated with Christian City Church International. 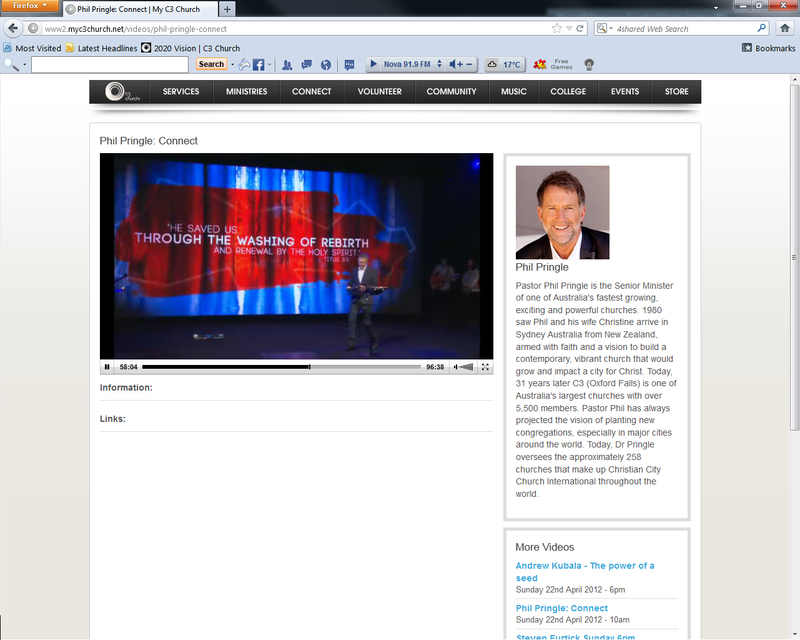 C3 was founded by Phil and Chris Pringle in Australia. The organization has hundreds of affiliated churches worldwide and several in North Carolina. D.R. 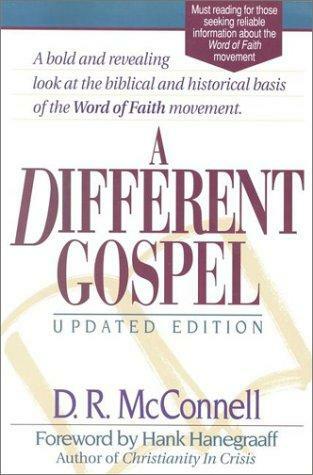 McConnell (B.A., M.A., in theological and historical studies), offers insight into the Word of Faith Movement in his book ‘A Different Gospel – A Historical and Biblical Analysis of the Modern Faith Movement‘. McConnell traces the history of the Word of Faith Movement from Hagin to Kenyon to Kenyon’s influences at Emerson College. McConnell provides convincing evidence that Kenyon’s work was plagiarised by Kenneth Hagin. Kenyon was influenced by various other metaphysical cult experts such as Ralph Waldo Emerson (who Pringle quotes in some of his books), Mary Eddy Baker and Ralph Waldo Trine. Many Word of Faith teachers look up to Copeland and Hagin and have been influenced by writers like metaphysical cult writers Ralph Waldo Trine, Ralph Waldo Emerson and E.W.Kenyon. “It is significant to note that Trine attributes the confession of prosperity to “occult power.” Trine believed that “thought is a force, and it has occult power of unknown proportions when rightly used and wisely directed.” This usage of occult powers is, of course, a practice that the Faith teachers would publicly reject. Nevertheless, the Faith teachers must come to grips with the fact that those who began the practices of positive mental attitude and positive confession attributed their ability to acquire riches to psychic and occultic power. For example, Trine advocated the occultic practice of visualization as a means to become prosperous. He instructs his followers in the art of visualizing prosperity through mental suggestion and verbal affirmation.” – D.R. McConnell, A Different Gospel…, The Doctrine of Prosperity, 1988, pg. 173-174. “Suggest prosperity to yourself. See yourself in a prosperous condition. Affirm that you will before be in a prosperous condition. Affirm it calmly and quietly, but strongly and confidently. Believe it, believe it absolutely. Expect it, keep it continually watered with expectation. You thus make yourself a magnet to attract the things that you desire.” – Ralph Waldo Trine, In Tune With The Infinite, Chapter 11 – Plenty Of All Things – The Law Of Prosperity, pg. 104. “… the doctrine of prosperity is the result of two influences, one cultic, the other cultural. First, it is the result of metaphysical influences upon the founding father of the Faith theology, E.W. Kenyon. The metaphysical cults, particularly New Thought and the Unity School of Christianity, were the first to propogate the idea that God will make rich all those who know “the laws of prosperity” which govern the universe. Through Kenyon, this cultic belief entered the Faith movement and was expanded by Hagin and the other Faith teachers to a degree which even he himself would never have approved. Second, the doctrine of prosperity is a gross example of the church’s cultural accommodation to the worldly values of American materialism. It is a direct contradiction of the examples of the Lord Jesus, the Apostle Paul, and all the heroes of the faith, who were “destitute, afflicted, ill-treated, men of whom the world was not worthy” (Heb. 11:37,38). The doctrine of prosperity is not worthy of such men.” – D.R. McConnell, A Different Gospel…, The Doctrine of Prosperity, 1988, pg. 173-174. It is these metaphysical cult teachings that largely influence the Word of Faith/Prosperity Movement and the teachings of Phil Pringle’s C3 Movement. If you examine the teachings of Phil Pringle, the WoF teachers he looks up too and the leaders he influences around the world, you will notice the similarities between C3’s teachings and the teachings of the metaphysical cults. We will now see an example how Pringle misuses a scripture that has elements of metaphysical cult teaching. “Recognize, working in and through you, the same Infinite Power that creates and governs all things in the universe, the same Infinite Power that governs the endless systems of worlds in space. Send out your thought. Thought is a force, and it has occult power of unknown proportions when rightly used and wisely directed send out your thought that the right situation or the right work will come to you at the right time, in the right way, and that you will recognize it when it comes. Hold to this thought, never allow it to weaken, hold to it, and continually water it with firm expectation.” – Ralph Waldo Trine, In Tune With The Infinite, Chapter 11 – Plenty Of All Things – The Law Of Prosperity, pg. 103. There is no doubt that the C3 Movement has fallen ill to these dangerous occultic doctrines. 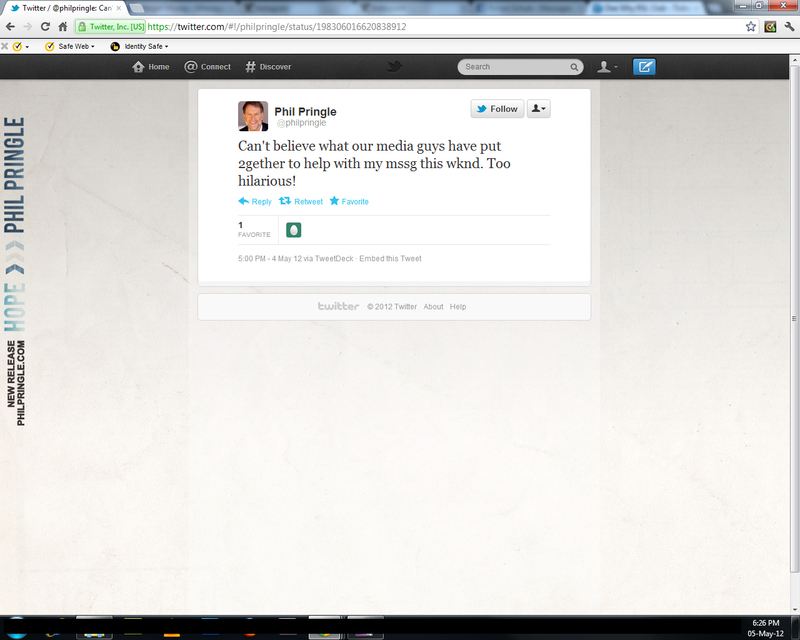 For example, Pringle would often use Habakkuk 2 to teach the same thing as Trine. In context, this passage is about God instructing Habakkuk to write down a vision that is about Israel’s coming destruction. If anyone heeds the prophets vision, they are to take heed of the coming destruction. Those who flee, should not return. They may not see any sign of the destruction coming, but Habakkuk says it will not tarry. Vision is to leadership what oxygen is to lungs. Essential! It’s the difference between life and death for a leader. Vision must be written down. Don’t just leave it in your imagination. Write it down. All the time. Receiving a vision is important. Writing it down is more important. The magic of a vision is in it being written down. What’s your vision? Write it down. Again and again.” – Phil Pringle, The Leadership Files Vol 2, File 42. Write It Down. Pringle would twist the scripture and teach his church to write their personal vision down, run towards their vision and wait for it to come to pass. Pringle will use scriptures like this not knowing that he is echoing similar teachings to Trine: “Hold to this thought [Pringle: vision], never allow it to weaken [Pringle: write it down, make it plain and run for it], hold to it [Pringle: wait for it (or as he says, ‘Tarry’)], and continually water it with firm expectation [Pringle: financially support and commit to God’s house to see the vision come to pass]“. In the process of writing this article (13/04/2012), Chris Pringle even mentioned this scripture in passing to describe this exactly on the last day of Presence Conference. This is just one example how the Pringle’s accidentally misuse scripture to justify this false doctrine. It is worth noting that Pringle felt God warn him about dabbling in New Thought/ New Age teaching (emphasis mine). “A number of years ago, in the pursuit of understanding management, I familiarized myself with a great variety of available business management materials and a lot of the positive mental attitude books that go along with them. Some of the material found its way into my preaching and teaching. I felt a growing discomfort in my spirit, without really understanding what it was. One day, as I was reading a Deuteronomy 22:9, “You shall not sow your vineyard with different kind of seed, lest the yield of the seed which you have sown and the fruit of your vineyard be defiled,” I realized I could not afford to have a bag of mixed seed. I felt convicted to purify my message so that the material would only reinforce what the Word already says.” – Phil Pringle, You The Leader, 2005, pg 213. Pringle may have obediently removed himself from worldly “business management materials and a lot of the positive mental attitude books”. But he did not disconnect himself fully from these subversive or subtle influences within or on the fringe of problematic prosperity-driven, WoF churches. For example, Laurie Beth Jones, Zig Ziglar, Bob Harrison, Pat Robertson, the Schullers, the Osbornes, Benny Hinn, John Avanzini, Kong Hee, Yonngi Cho, Peter Wagner, John C Maxwell (just to name a few) are influenced by the New Age and New Thought (or occult) teachings and principles which Pringle is influenced by. As a result of Pringle’s focus and desire to see results and outcomes, in his driven philosophy that ‘the ends justifies the means’, Pringle has turned his ‘means’ and central ‘Christian’ doctrines into a hybrid faith. At best – his faith is not Christian at all – but echoes a New Age faith at best. To end this article, we would like people to consider Trine’s teachings with Pringle’s teachings. Take note that Trine has no problem attributing his practices to occultism and pagan philosophies. “Send out your thought – thought is a force, and it has occult power of unknown proportions when rightly used and wisely directed send out your thought that the right situation or the right work will come to you at the right time, in the right way, and that you will recognize it when it comes. Hold to this thought, never allow it to weaken, hold to it, and continually water it with firm expectation.” – Ralph Waldo Trine, In Tune With The Infinite, Chapter 11 – Plenty Of All Things – The Law Of Prosperity, pg. 104. Everything is first worked out in the unseen before it is manifested in the seen, in the ideal before it is realized in the real, in the spiritual before it shows forth in the material. The realm of the unseen is the realm of cause. The realm of the seen is the realm of effect. The nature of effect is always determined and conditioned by the nature of its cause. There is a divine sequence running throughout the universe. Within and above and below the human will incessantly works the Divine will. To come into harmony with it and thereby with all the higher laws and forces, to come then into league and to work in conjunction with them, in order that they can work in league and in conjunction with us, is to come into the chain of this wonderful sequence. This is the secret of all success. This is to come into the possession of unknown riches, into the realization of undreamed-of powers.” – Ralph Waldo Trine, In Tune With The Infinite, Chapter 1 – Preface, pg. 2-3. “Within yourself lies the cause of whatever enters into your life. To come into the full realization of your own awakened inner powers is to be able to condition your life in exact accord with what you would have it.” – Ralph Waldo Trine, In Tune With The Infinite, Chapter 1 – Preface, pg. 4. “The moment we fully and vitally realise who and what we are, we then begin to build our own World even as God builds his.” – Ralph Waldo Trine, In Tune With The Infinite, Chapter 1 – Preface, pg. 6. “Within yourself lies the cause of whatever enters into your life. To come into the full realization of your own awakened interior powers is to be able to condition your life in exact accord with what you would have it.” – Ralph Waldo Trine, In Tune With The Infinite, Chapter 1 – Preface, pg. 4. “The optimist has the power of seeing things in their entirety and in their right relations. The pessimist looks from a limited and a one-sided point of view. The one has their understanding illuminated by wisdom, the understanding of the other is darkened by ignorance. Each is building their world from within, and the result of the building are determined by the point of view of each The optimist, by their superior wisdom and insight, is making their own heaven, and in the degree that they make their own heaven are helping to make one for all the world beside. The pessimist, by virtue of their limitations, are making their own hell, and in the degree that they make their own hell are they helping to make one for all mankind.” – Ralph Waldo Trine, In Tune With The Infinite, Chapter 3 – Prelude, pg. 9. “Faith is nothing more nor less than the operation of the thought forces in the form of an earnest desire, coupled with expectation as to its fulfillment. And in the degree that faith, the earnest desire thus sent out, is continually held to and watered by firm expectation, in just that degree does it either draw to itself, or does it change from the unseen into the visible, from the spiritual into the material, that for which it is sent. We shall find, as we are so rapidly beginning to find today, that the great things said in regard to faith, the great promises made in connection with it, are not mere vague sentimentalities, but are all great scientific facts, and rest upon great immutable laws.” – Ralph Waldo Trine, In Tune With The Infinite, Chapter 5 – The Supreme Fact Of Human Life, pg. 23. “Fear and lack of faith go hand in hand. The one is born of the other. Tell me how much one is given to fear, and I will tell you how much they lack in faith.” – Ralph Waldo Trine, In Tune With The Infinite, Chapter 6 – Fullness Of Life – Bodily Health And Vigor, pg. 41. Thoughts of weakness actualize weakness from within and attract it from without. Courage begets strength, fear begets weakness. And so courage begets success, fear begets failure. It is the man of faith, and hence of courage who is the master of circumstances, and who makes his or her power felt in the world. It is the man who lacks faith and who as a consequence is weakened and crippled by fears and forebodings, who is the creature of all passing occurrences.” – Ralph Waldo Trine, In Tune With The Infinite, Chapter 9 – The Realization Of Perfect Peace , pg. 84. “We need more faith in everyday life – faith in the power that works for good, faith in the Infinite God, and hence faith in ourselves created in His image. And however things at times may seem to go, however dark at times appearances may be, the knowledge of the fact that ‘the Supreme Power has us in its charge as it has the suns and endless systems of worlds in space.’ will give us the supreme faith that all is well with us, just as all is well with the world. ‘Thou wilt keep in perfect peace whose mind is stayed on Thee.” – Ralph Waldo Trine, In Tune With The Infinite, Chapter 9 – The Realization Of Perfect Peace , pg. 85-86. “We are then led into the full realization of the fact that all things work together for good to those that love the good. Then the fears and forebodings that have dominated us in the past will be transmuted into faith, and faith, when rightly understood and rightly used, is a force before which nothing can stand. Materialism leads naturally to pessimism. And how could it do otherwise? A knowledge of the Spiritual Power working in and through us as well as in and through all things, a power that works for righteousness, leads to optimism. Pessimism leads to weakness. Optimism leads to power. The one who is centered in Deity is the one who not only outrides every storm, but who through the faith, and so the conscious power that is in them, faces storm with the same calmness and serenity that they face fair weather, for they know well beforehand what the outcome will be.” – Ralph Waldo Trine, In Tune With The Infinite, Chapter 9 – The Realization Of Perfect Peace , pg. 86. “Affirm this, believe it, expect it. If you do this in full faith, you will somehow feel the intuition the moment you come to the right one, and this intuition will be nothing more nor less than your own soul speaking to you. When it speaks then act at once. If you get the situation and it does not prove to be exactly what you want, if you feel that you are capable of filling a better one, then the moment you enter upon it take the attitude of mind that this situation is the stepping-stone that will lead you to one that will be still better. Hold this thought steadily, affirm it, believe it, expect it, and all the time be faithful, absolutely faithful to the situation in which you are at present placed. If you are not faithful to it then the chances are that it will not be the stepping-stone to something better, but to something poorer. If you are faithful to it, the time may soon come when you will be glad and thankful, when you will rejoice that you lost your old position. “ – Ralph Waldo Trine, In Tune With The Infinite, Chapter 11 – Plenty Of All Things – The Law Of Prosperity, pg. 104. “Faith, absolute dogmatic faith, is the only law of true success. When we recognize the fact that a man carries their success or failure with them, and that it does not depend upon outside conditions, we shall come into the possession of powers that will quickly change outside conditions into agencies that make for success. When we come into this higher realization and bring our lives into complete harmony with the higher laws, we shall then be able so to focus and direct the awakened interior forces, that they will go out and return laden with that for which they are sent. We shall then be great enough to attract success, and it will not always be apparently just a little way ahead. We can then establish in ourselves a center so strong that instead of running hither and thither for this or that, we can stay at home and draw to us the conditions we desire. If we firmly establish and hold to this center, things will seem continually to come our way.” – Ralph Waldo Trine, In Tune With The Infinite, Chapter 11 – Plenty Of All Things – The Law Of Prosperity, pg. 106. “The great fundamental principles of all religions are the same. They differ only in their minor details according to the various degrees of unfoldment of different people. I am sometimes asked To what religion do you belong?’ What religion? Why, bless you, there is only one religion, the ‘religion of the living God! There are, of course, the various creeds of the same religion arising from the various interpretations of different people, but they are all of minor importance. The more unfolded the soul the less important do these minor differences become. There are also, of course the various so-called religions. In reality, however, there is but one religion. The moment we lose sight of this great fact we depart from the real, vital spirit of true religion and allow ourselves to be limited and bound by form. In the degree that we do this we build fences around ourselves which keep others away from us, and which also prevent our corning into the realization of universal truth; there is nothing worthy the name of truth that is not universal. There is only one religion. ‘Whatever road I take joins the highway that leads to Thee,’ says the inspired writer in the Persian scriptures. ‘Broad is the carpet God has spread, and beautiful the colors He has given it.’ ‘The pure man respects every form of faith,’ says the Buddhist. 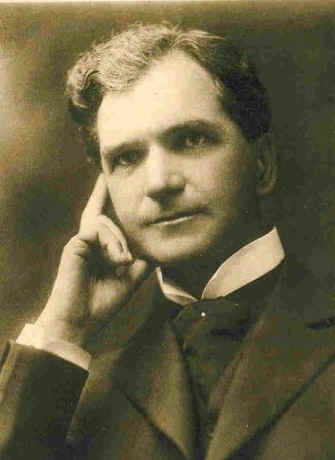 ‘My doctrine makes no difference between high and low, rich and poor, like the sky, it has room for all, and like the water, it washes all alike’ The broad-minded see the truth in different religions; the narrow-minded see only the differences,’ says the Chinese.” – Ralph Waldo Trine, In Tune With The Infinite, Chapter 11 – Plenty Of All Things – The Law Of Prosperity, pg. 119. “When one comes into and lives continually in the full, conscious realization of oneness with the Infinite Life and Power, then all else follows. This it is that brings the realization of such splendors, and beauties, and joys as a life that is thus related with the Infinite Power alone can know. This it is to come into the realization of heaven’s richest treasures while walking the earth. This it is to bring heaven down to earth, or rather to bring earth up to heaven. This it is to exchange weakness and impotence for strength; sorrows and sighings for joy; fears and forebodings for faith; longings for realizations. This it is to come into fullness of peace, power, and plenty. This it is to be in tune with the Infinite.” – Ralph Waldo Trine, In Tune With The Infinite, Chapter 11 – Plenty Of All Things – The Law Of Prosperity, pg. 124. “There is something in the universe that responds to intrepid thinking. The POWER that holds and that moves the stars in their courses sustains, illumines and fights for the brave and the upright. Courage has power and magic in it. Faith and hope and courage are great producers – we cannot fail if we live always in the brave and cheerful attitude of mind and heart. He alone fails who gives up and lies down.” – Ralph Waldo Trine, In Tune With The Infinite, Chapter 11 – Plenty Of All Things – The Law Of Prosperity, pg. 124.